Kente print dashiki shirt. Relaxing and comfortable way to show off your heritage. 100% cotton, Loose fitting, available in all kente colors sizes (Small to 4X-Large). Extra fee will be added to sizes (L - 4XLarge). Perfect for all occasions and gift items. 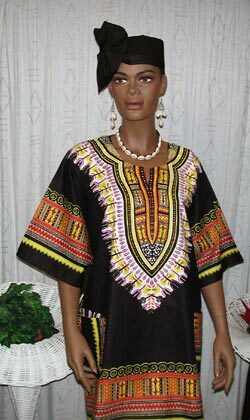 Please select your dashiki shirt size.